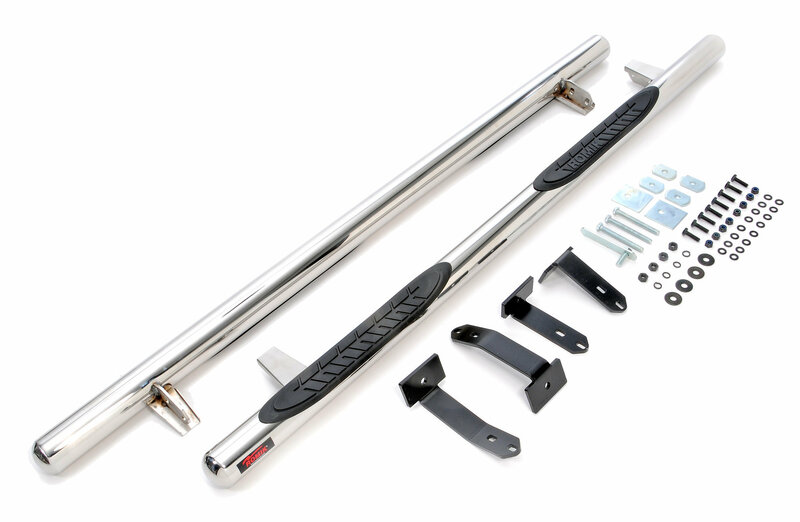 The Romik® Max Bars Side Steps give you a solid 3" tube step to help you with getting in and out of your Cherokee KL. Made from high quality aircraft stainless steel these steps have a molded anti-slip step pads for better traction and can support up to 350lbs. Construction: Made from high grade T304 steel giving you a strong and durable step for your Cherokee. Comes with heavy duty mounting brackets to support 350lbs. Installation: These steps come with mounting brackets that will no require you to make modifications to your Jeep.